Our family company, based in Wroclaw, Poland, has been in operation on the Wroclaw transportation market since 2002. It was created in response to the demand for transport services for small groups travelling occasionally – for business or leisure – around the region. The certificates we have obtained entitle us to licensed passenger transport throughout all Europe. We specialize in occasional transport of individuals and small groups by comfortable Volkswagen Caravelle minibuses. Our offer is targeted at companies, institutions, and individuals. Thanks to years of experience we can offer high quality services. 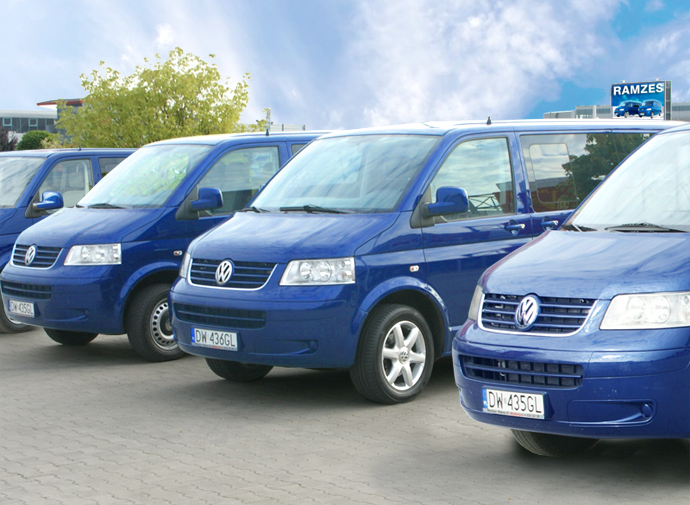 We offer for hire elegant 8-person vehicles such as minivans and minibuses with drivers. We also cooperate with tourist agencies, providing rental of comfortable vans and buses. Except for car rental for longer journeys, we offer minibus shuttles and airport–hotel transfers (Berlin, Prague, Warsaw and other European cities), including curb-to-curb service or door-to-door assistance. All our cars are equipped with air-conditioning and Wi-Fi, and ensure the highest level of safety. Our English-speaking drivers have extensive experience in travelling all over Europe, which translates into a high level of safety and driving culture.